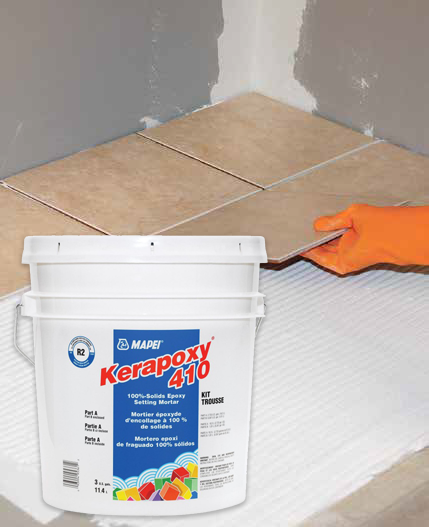 Kerapoxy 410 from Mapei bonds to urethane/epoxy mesh backings, exterior walls and other applications. 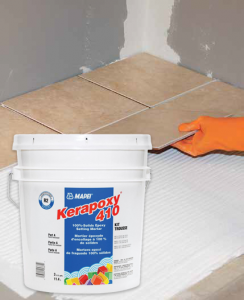 Solvent-free, 100 percent-solids, the epoxy setting floor and wall mortar is suited for areas where the most chemical-resistant setting material is necessary. 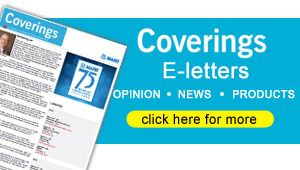 The product has high compressive strength, which is said to provide excellent impact strength in commercial facilities. It is also designed for setting most types of tile and stone, including moisture-sensitive stone and exceeds ANSI A118.3.